With the growing demand for construction equipment, industrial equipment and specialized vehicles with various purposes, the importance and technical need for heat exchangers has significantly increased, Caho Korea manufactures and produces cooling modules which are tailored to the customers’ needs and the equipment through tremendous research and development efforts. An engine cooling module comprising a radiator and a CAC from the company is manufactured to help realization of high cooling performance which is required by equipment. 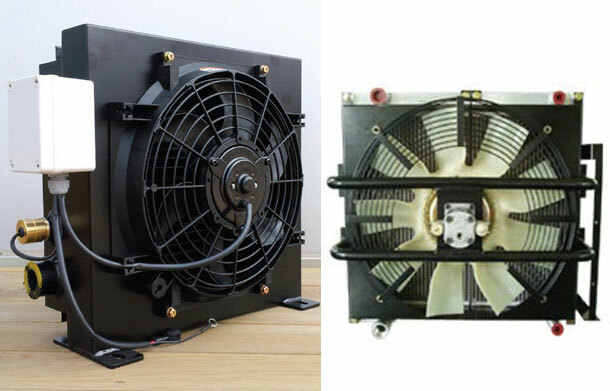 A hydraulic oil cooler complete from the company is used to avoid heat transformation of equipment by controlling the temperature of oil such as lubricating oil, hydraulic oil, cutting oil against changes in room temperature or the temperature of the machine itself. It maintains viscosity and lubricous property of a machine to ensure longer lifespan and normal operation of the equipment. Caho Korea is a leading developer and manufacturer of cooling modules for specialized and heavy duty industrial vehicles. It has developed various kinds and types of line-up by using its bar-plate radiator core-type heat exchanger. Being manufactured with the most advanced technology, Caho Korea products are compact and durable with competitive prices. Caho Korea constantly strives to become the best heat exchanger manufacturer in the market.